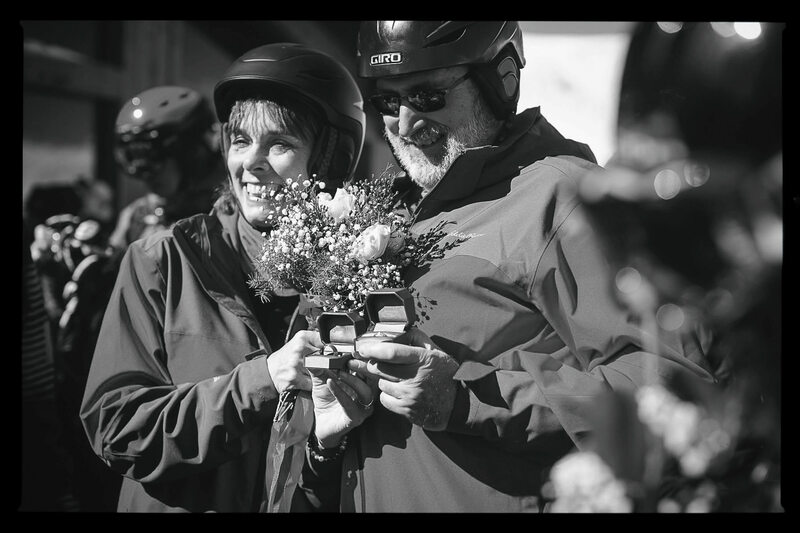 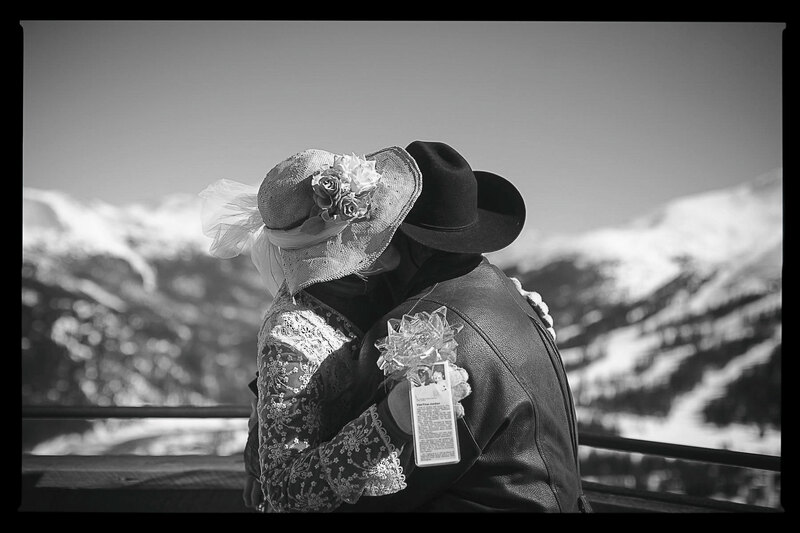 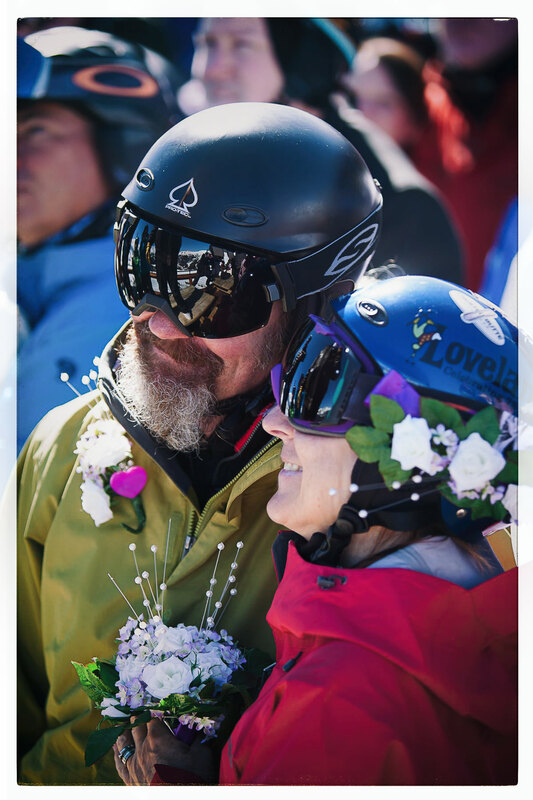 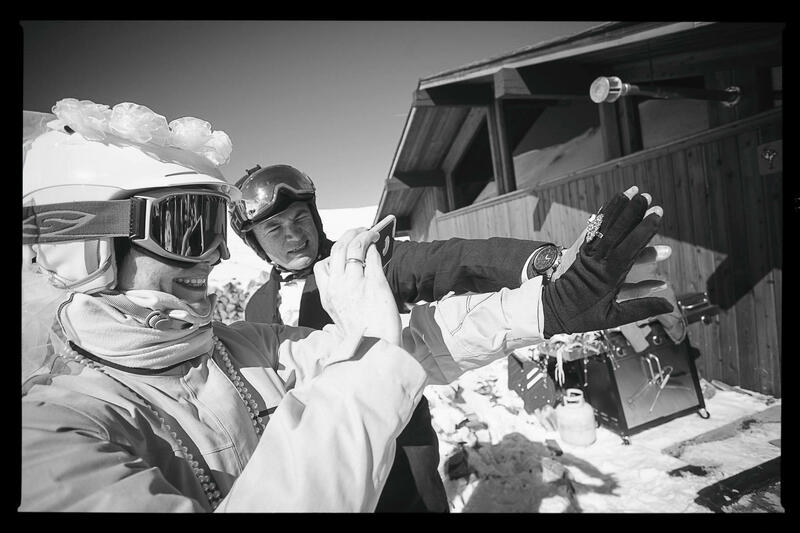 Photographs from Loveland Ski Area’s 26th Annual Mountaintop Matrimony on Valentine’s Day. 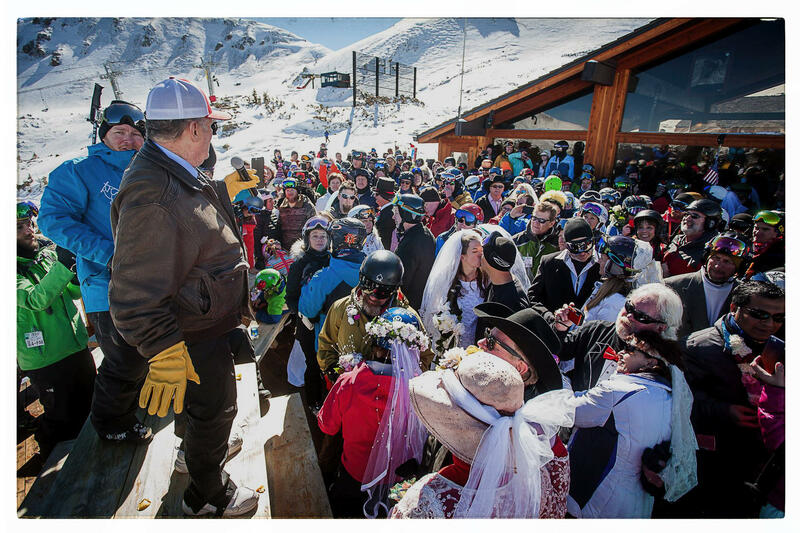 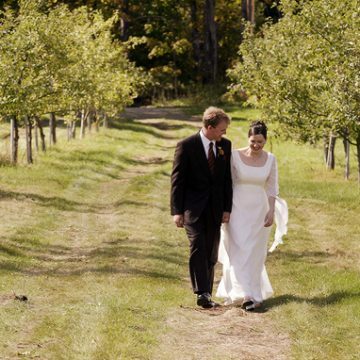 Dozens of couples were getting married and renewing their vows. 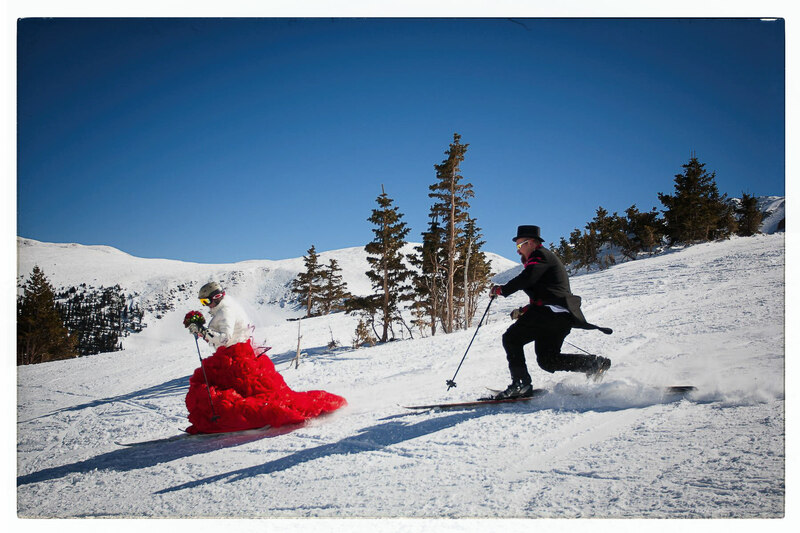 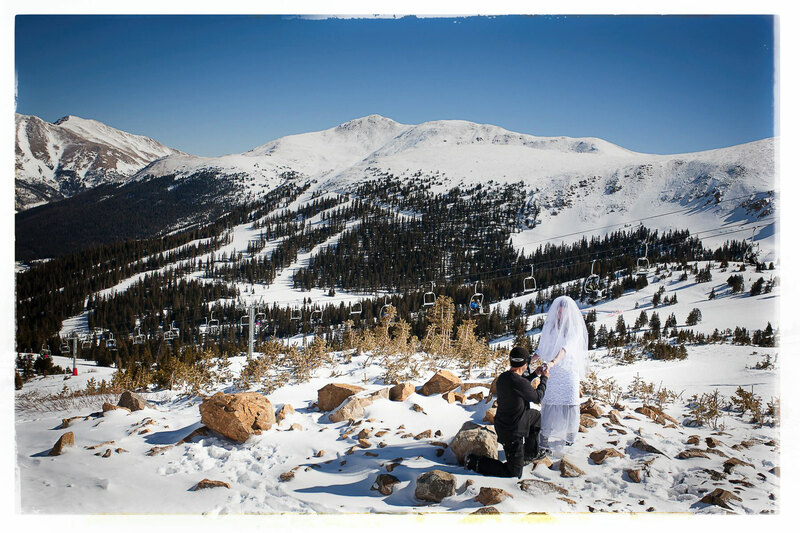 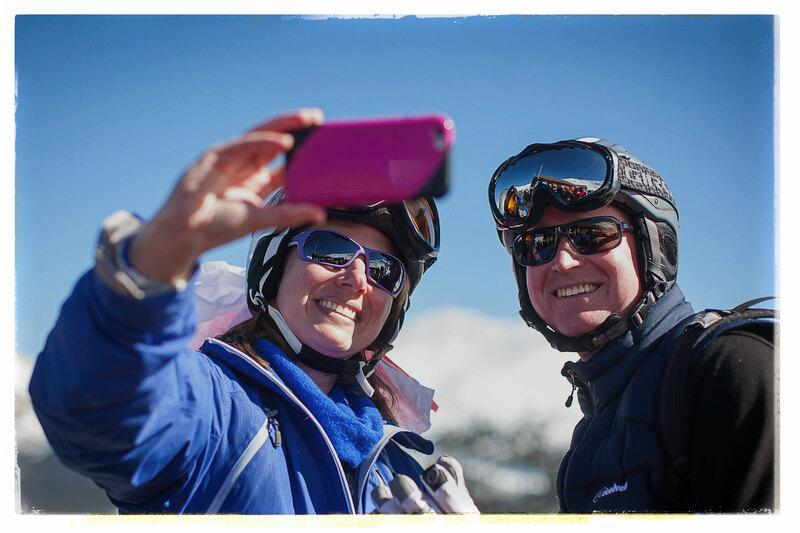 Couples wore their best “ski-wedding” attire, recited their vows and took to the slopes. 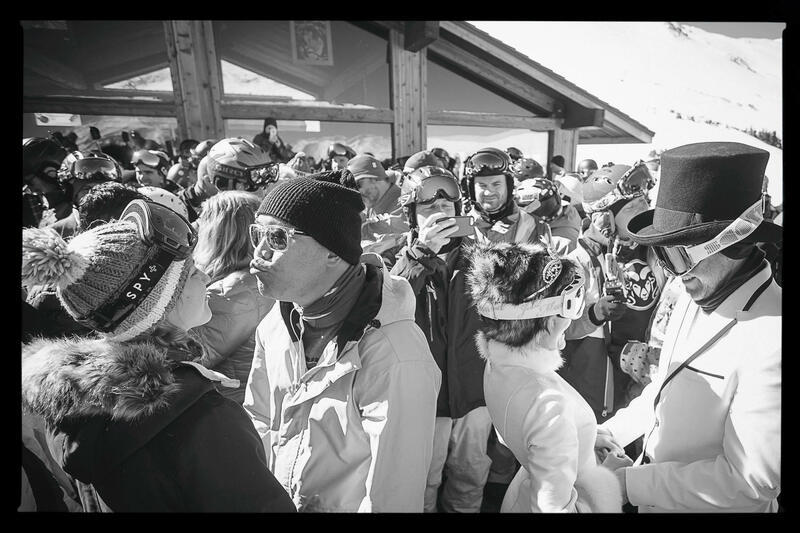 The annual event takes place every Valentine’s Day outside the Ptarmigan Roost Cabin, elevation 12,050 feet.